Queen Máxima delivered a fabulous surprise earlier this week with her debut of the Historical Stuart/House Diamond Necklace. While drooling over the astounding level of diamond carat wattage in that necklace, you also can’t sleep on the diamond power on display in her tiara. This piece has the distinction of being the first Dutch tiara to ever appear on Tiara Thursdays, and it is high time we revisited it. The Dutch Diamond Bandeau is really the simplest of pieces, nothing but giant diamonds in a row on a thin platinum frame. It looks like a necklace worn in the hair, and that’s essentially what it is. 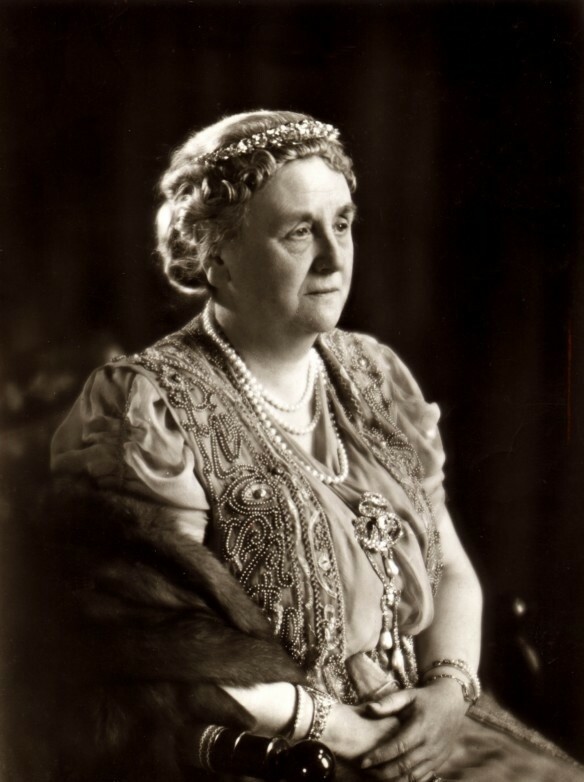 The tiara originates with a diamond collet necklace which was a wedding gift to Queen Emma, née Princess Emma of Waldeck and Pyrmont, who married King Willem III in 1879; the diamonds themselves date back even further. The strand of diamonds was used as both a necklace and a dress ornament before it was converted into a tiara. The tiara was seen as early as 1937 on the future Queen Juliana, who was Queen Emma’s granddaughter. Juliana’s mother, Queen Wilhelmina, also wore it. The tiara has since made the rounds of the Dutch royal family thoroughly. Princess (formerly Queen) Beatrix has worn it on several occasions; her sisters, Princesses Margriet and Christina, have also used the tiara. Judging from how often she’s worn the Dutch Diamond Bandeau, Queen Máxima considers it a favorite. This is fortunate, because she is also the one that wears it best. 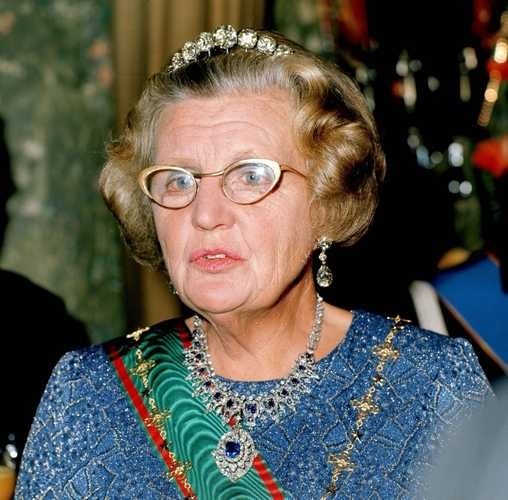 Whereas on Princess Beatrix many of the diamonds disappear behind a curtain of hair, Queen Máxima usually displays the swooping sides of the tiara, allowing one to fully appreciate the extent of the diamonds on hand. 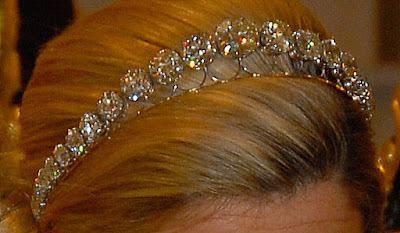 And appreciating the extent of the diamonds at hand is really part of the magic of this diadem. It’s not the shape of the tiara that makes it notable, it’s the size and history of the stones. Several of you laughed when I referred to this as a low-key tiara choice at the Argentinian state banquet, because the carats on hand could blow many other tiaras out of the water. It doesn't make the same loud statement as some of the taller tiaras around, but it makes a statement nevertheless. The fact that this tiara allows so many carats and so much history to be worn with such casual elegance, and not in a way that overpowers a whole look, makes it one of the most royal diadems around, in my mind. It also makes it one of my favorites, a true must on any desert island list. Does this one make your desert island tiara list?